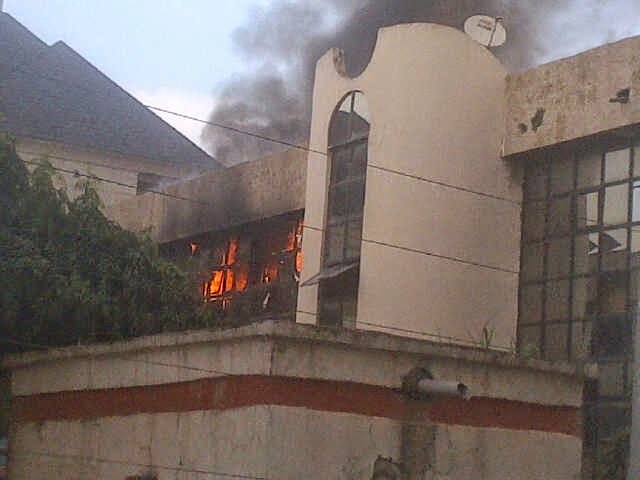 The headquarters of the Nigeria Football Federation NFF in the Wuse Zone 7 District of Abuja has been gutted by fire. Fire started from the third floor where the offices of the President, Secretary General and the accounts department are located. Cause is unknown at the moment but fire service officials are at the scene to put out the fire.